Introduction: This study investigated chikungunya disease awareness and its predictors, the level of adoption of recommended personal protective behaviors against chikungunya, and the health information-seeking behavior of U.S. travelers to Caribbean destinations. Methods: A cross-sectional retrospective online survey of 653 adult U.S. international travelers who visited any one of 34 Caribbean destinations was conducted in October 2015. Study participants were recruited through Amazon® Mechanical Turk. Travelers who met the inclusion criteria and gave informed consent were subsequently redirected to complete the survey which was domiciled in Qualtrics®. Results: Results regarding health information-seeking behavior indicated that 51% of study participants had never sought information about chikungunya or any vector-borne illnesses. Only thirty percent of study participants reported having heard of chikungunya disease before participating in this study. After adjusting for the presence of other variables in a logistic regression model, gender of female, higher levels of education, more time spent at the destination, and a higher number of hours spent engaging in outdoor activities were factors significantly associated with chikungunya disease awareness. Study results also showed that twenty-two percent of study participants did not engage in any of the three recommended personal protective behaviors under investigation. Conclusion: Study findings highlighted a gap in existing approaches to health information dissemination vis-à-vis adoption of recommended personal protective behaviors, especially for U.S. travelers at risk for chikungunya and other emerging mosquito-borne infectious diseases in Caribbean destinations. Centers for Disease Control Prevention. Chikungunya fever diagnosed among international travelers--United States, 2005-2006. MMWR Morbidity and Mortality Weekly Report. 2006;55(38):1040. Chen LH, Wilson ME. Dengue and chikungunya infections in travelers. Curr Opin Infect Dis. 2010;23(5):438-444. doi:10.1097/QCO.0b013e32833c1d16. Nasci RS. Movement of chikungunya virus into the Western hemisphere. Emerg Infect Dis. 2014;20(8):1394-1395. doi:10.3201/eid2008.140333. Powers AM, Logue CH. Changing patterns of chikungunya virus: reemergence of a zoonotic arbovirus. J Gen Virol. 2007;88(9):2363-2377. Gubler DJ. The economic burden of dengue. Am J Trop Med Hyg. 2012;86(5):743-744. doi:10.4269/ajtmh.2012.12-0157. Sharp TM, Jomil Torres M, Ryff KR, Chanis Mercado M, del Pilar M. Chikungunya cases identified through passive surveillance and household investigations—Puerto Rico, May 5–August 12, 2014. Morbidity and Mortality Weekly Report. 2014;63(48);1121-8. Leparc-Goffart I, Nougairede A, Cassadou S, Prat C, De Lamballerie X. Chikungunya in the Americas. Lancet. 2014;383(9916):514. doi:10.1016/S0140-6736(14)60185-9. McElroy JL. Tourism development in small islands across the world. Geografiska Annaler Series B Human Geography. 2003;85(4):231-242. Carribbean Tourism Organization. Latest Tourism Statistics Tables http://www.onecaribbean.org/statistics/latest-tourism-statisticstables/. Published 2015. Dodds R. Report for Caribbean Soft Adventure Study. Caribbean Regional Sustainable Tourism Development Programme. Contract No. : Project No. 8 ACP RCA 035. Barbados; 2006. Villareal A. High-End Vacationers Cancel Caribbean Trips Because of Chikungunya. http://observer.com/2014/12/high-endvacationers-cancel-caribbean-trips-because-of-chikungunya/. Published 2014. US Centers for Disease Control & Prevention. Chikungunya Information for Vector Control Programs. http://www.cdc.gov/chikungunya/pdfs/CHIKV_VectorControl.pdf. Published 2015. Nasci RS, Zielinski-Gutierrez E, Wirtz RA, Brogdon WG. Protection against mosquitoes, ticks, & other insects & arthropods. CDC Health Information for International Travel: The Yellow Book. Atlanta: CDC; 2014. US Army Public Health Center. DoD Insect Repellent System https://phc.amedd.army.mil/topics/envirohealth/epm/Pages/DoDInsectRepellentSystem.aspx. Published 2016. Chikungunya in the Caribbean. US CDC website. http://wwwnc.cdc.gov/travel/notices/watch/chikungunya-caribbean. Updated March 2015. Published 2015. Fact Sheets and Posters 2015. US CDC website. http://www.cdc.gov/chikungunya/fact/index.html. The 2016 Florida Statutes. http://www.leg.state.fl.us/statutes/index.cfm?App_mode=Display_Statute&URL=0100-0199/0125/Sections/0125.0104.html. Published 2016. Hendee JC, Gale RP, Catton WR. A typology of outdoor recreation activity preferences. J Environ Educ. 1971;3(1):28-34. Kil N, Holland S, Taylor S. Improving the management of natural resource recreation areas through understanding place-attached visitor segments. J Park Recreat Admi. 2010;28(3). Ho R. Predicting intention for protective health behaviour: a test of the protection versus the ordered protection motivation model. Aust J Psychol. 2000;52(2):110-118. Cohen J. Statistical power analysis. Curr Dir Psychol Sci. 1992;1(3):98-101. Hamer DH, Connor BA. 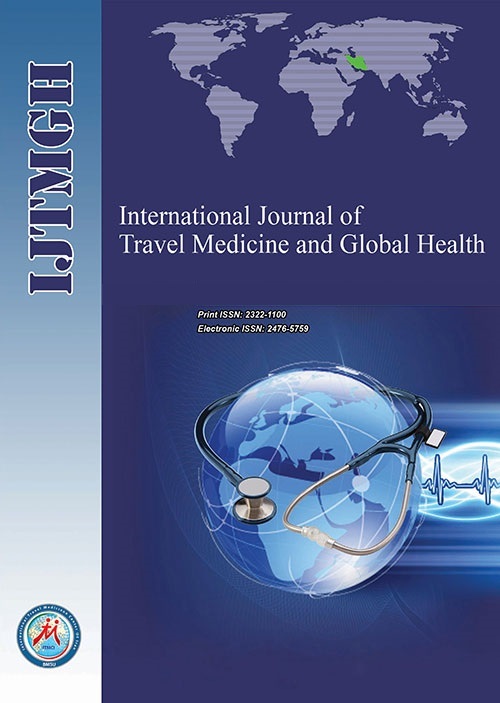 Travel health knowledge, attitudes and practices among United States travelers. J Travel Med. 2004;11(1):23-26. Omodior O, Pennington-Gray L, Donohoe H. Efficacy of the theory of planned behavior in predicting the intention to engage in tick-borne disease personal protective behavior amongst visitors to an outdoor recreation center. J Park Recreat Admi. 2015;33(2). Hyde JS. The gender similarities hypothesis. Am Psychol. 2005;60(6):581-592. Yasuoka J, Mangione TW, Spielman A, Levins R. Impact of education on knowledge, agricultural practices, and community actions for mosquito control and mosquito-borne disease prevention in rice ecosystems in Sri Lanka. Am J Trop Med Hyg. 2006;74(6):1034-42. Itrat A, Khan A, Javaid S, et al. Knowledge, awareness and practices regarding dengue fever among the adult population of dengue hit cosmopolitan. PloS One. 2008;3(7):e2620. doi:10.1371/journal.pone.0002620. Ajzen I. The theory of planned behavior. Organ Behav Hum Decis Process. 1991;50(2):179-211. Carleton RA, Bazzarre T, Drake J, Dunn A, Fisher EB, Grundy SM, et al. Report of the expert panel on awareness and behavior change to the board of directors, American Heart Association. Circulation. 1996;93(9):1768-1772. Kaskutas LA, Graves K. Relationship between cumulative exposure to health messages and awareness and behavior-related drinking during pregnancy. Am J Health Promot. 1994;9(2):115-124. Green-Raleigh K, Carter H, Mulinare J, Prue C, Petrini J. Trends in folic acid awareness and behavior in the United States: the Gallup Organization for the March of Dimes Foundation surveys, 1995–2005. Matern Child Health J. 2006;10(5 Suppl):S177-82. Daltroy LH, Phillips C, Lew R, Wright E, Shadick NA, Liang MH. A controlled trial of a novel primary prevention program for Lyme disease and other tick-borne illnesses. Health Educ Behav. 2007;34(3):531-42. Rogers R. Cognitive and physiological processes in fear appeals and attitude change: a revised theory of protection motivation. In: Cacioppo DJ, Petty R, eds. Social Psychophysiology. New York: Guildford Press; 1983:153-176.